Pastor Cooley has preached many sermons on the doctrine of the church. Links to those sermons are at Sermons by Pastor Jason Cooley at “3. Sermons dealing with the doctrine of the church.” Pastor Cooley will be preaching more on this doctrine and those sermons will be added to the page. The notes in the C.I. Scofield Study Bible comment on a multitude of matters. Some churches use the Scofield Bible exclusively to the extent that the pastor, when preaching, will reference the page numbers he wishes the other church members to turn to. Scofield’s notes are not inspired by God. His commentaries are not the word of God. The word of God itself is totally true; and one must be careful to compare everything a Bible teacher says to the word of God. Some of Scofield’s teachings are true; some are false. He gave a lot of good and accurate insights to the Bible. 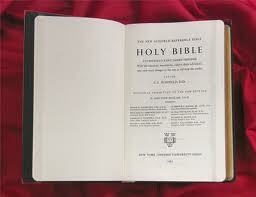 However, his study Bible is flawed; and many of his margin notes, headnotes, and footnotes are inaccurate. Some of the fallacies that he taught (along with other deceived “Bible believers”) have had serious negative effects in the spiritual warfare that the Bible tells the believer, as a soldier of the Lord, to fight. Scofield’s headnotes to each book of the Bible, footnotes, and margin notes reference many subjects. The margin notes are listed in alphabetical order in the middle of each two column page; and, according to Scofield, lead the reader from the first clear mention of a great truth to the last. The subject is the first word(s) in the margin note. Following that is the verse (or verses) where the subject is at that particular place. The next verse(s) is/are the next reference in the chain, and the references in parenthesis are the first and last. 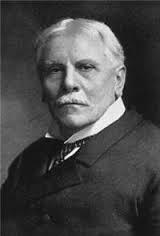 The author, when beginning his studies of the biblical doctrine of the church, followed, among other things, Scofield’s footnotes and margin notes which dealt with the doctrine of the church to include his so-called “true church” doctrine. After years of intense Bible study, the author concluded that the “true church” or universal church doctrine is totally unsound, according to the word of God. It seems that some Bible students simply did not understand what God was saying when He referred to “the church” or “my church” in the His Word; so they invented a doctrine that makes absolutely no sense when considered in light of Bible teaching. Of course, when a religious organization such as the Catholic church decides that that institution is the authority, it can propose that it is the universal church. Other churches have also incorporated the idea of a true or universal church (visible or invisible) into their theology. Now, the idea of the “universal church” has been picked up by many who are not in a local, autonomous New Testament church. Many of these heretics as to the doctrine of the church have their own “ministries” operating outside the authority of a local spiritual assembly. Some of them are right about many matters, but they are all wrong about many other matters. When one gets his doctrine of the church wrong, other doctrines which are intertwined with the doctrine of the church must be perverted. Many Bible believers teach a universal church doctrine. Many are acting outside local church authority over the internet and on radio and television; there they operate outside God’s church, teaching and leading the unwary who usually contribute to their “ministry.” Some also correctly organize into local churches with no earthly authority over them (except the federal government if they choose to violate the Bible principle and the First Amendment to the United States Constitution by becoming a legal entity such as an incorporated and/or Internal Revenue Code Section 501(c)(3) religious organization). The spiritual and temporal implications are enormous. For example, in soul-winning, lost people are told by some, “We are not concerned about which church you attend. We just want to explain to you what the Bible teaches about how to be saved. We want you to know that you will go to heaven when you die.” They follow that with their sales pitch to try to lead the person to saying a prayer. In the author’s experience, almost all the people who say the prayer never show any change in lifestyle. If they go to a “church” such as the Roman Catholic religious organization or cult, they stay there. Whether or not they become a member of a church, many die and go to hell because their so-called “fire insurance” was worthless. Other universal church adherents get the doctrine of salvation right even though their “after salvation” theology is wrong, according to the Bible. Click the following to access teaching of the correct doctrine of the church: “The Biblical Doctrine Of The Church.” One can also reference “Biblical principles concerning the institution of the church and local autonomous churches” (From Jerald Finney’s Bible Study Notes”) which have been organized and also revised by correcting Scofield’s errors in most of his notes on “true church” doctrine. Understanding the doctrine of the church is very important for a believer since “Christ also loved the church, and gave himself for it; That he might sanctify and cleanse it with the washing of water by the word, That he might present it to himself a glorious church, not having spot, or wrinkle, or any such thing; but that it should be holy and without blemish.” Ep. 5:25-27. The believer who does not correctly understand this doctrine cannot understand other important principles and doctrines in the Bible. Of course, the believer should examine, with the Bible as his standard, what anyone says, including what this author writes, concerning any biblical doctrine. “DATE. … Ephesians is the most impersonal of Paul’s letters. Indeed the words, ‘to the Ephesians,’ are not in the best manuscripts. Col 4:16 mentions an epistle to the Laodiceans. It has been conjectured that the letter known to us as Ephesians is really the Laodicean letter. Probably it was sent to Ephesus and Laodicea without being addressed to any church. The letter would then be ‘to the saints and the faithful in Christ Jesus’ anywhere. This short article cannot explain the error in the false conclusions he makes concerning the “true church, ‘His body’.” The teachings linked to above will explain what the Bible really teaches on the subject. Scofield’s conclusions on the “true church” do not withstand biblical scrutiny. Of course, any book of the Bible is written to “to the saints and the faithful in Christ Jesus” anywhere. However, when taken in the immediate and overall context, Ephesians certainly does not teach a “true church” as conceived by Scofield. Notice that Scofield not only makes a false statement concerning the “true church,” but also discredits the King James Bible in a few of his notes. Sadly, many Christians have blindly followed Scofield or other teachers without checking out what they say against the authority – the word of God. I strongly disagree with Scofield’s assertion that the King James Bible was not based upon the best manuscripts. Although that is not the subject of this article, the subject is so important that it cannot go unmentioned. See King James Bible. When the Lord, in the Bible, speaks of “the church” or “my church” He is speaking of the institution of the church, not a “true church” or “universal church.” The only verse that can rationally refer to a “true or universal church” is the last in Scofield’s line of verses on the “true church,” Hebrews 12.23 (see below). Again, for a more thorough explanation of the doctrine of the church see “The Biblical Doctrine Of The Church” and “Biblical principles concerning the institution of the church and local autonomous churches” (From Jerald Finney’s Bible Study Notes”). 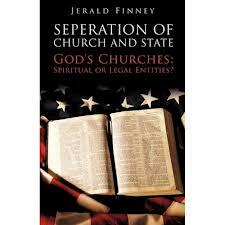 Onc can study theses matters further by analyzing “Biblical principles concerning the institution of the church and local autonomous churches” (From Jerald Finney’s Bible Study Notes”). In 2008, I started a seminar in El Paso, Texas with the diagram at left. 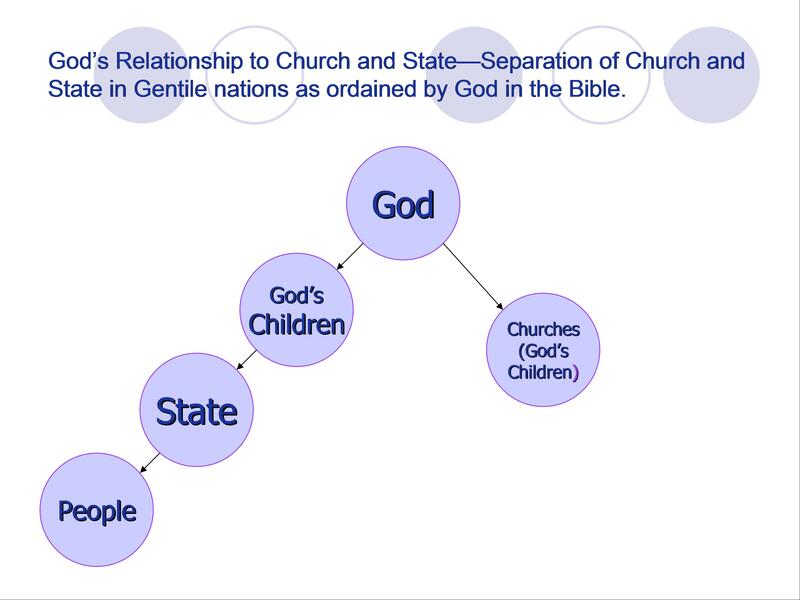 A activist Christian lady immediately raised her hand and pointed out that the diagram separated church and state and that she did not agree with this. I had anticipated this question because I had struggled with the issue of separation of church and state for many years. Some years before this seminar I had begun to read in books and articles and to hear on Christian radio and from other Christians that “separation of church and state is not found in the Constitution.” I repeated that sound bite many times myself, but I was always perplexed as to where to go from the simple statement. 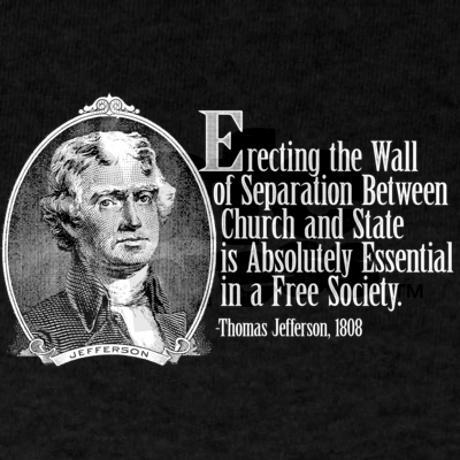 I had read that the Supreme Court totally misinterpreted Jefferson’s Danbury Letter to mean that the First Amendment created a wall between church and state that was never intended. I had also read that the original intent of the religion clause of the First Amendment was to keep the state out of church affairs but not to keep the church out of state affairs; that the wall only functioned one way. Was this true? I found the answers to these questions after years of historical and legal studies. I answered the lady’s concerns by stating that I believed that she and I were on the same page; that I believe that most of our founding fathers never intended to separate God and state, but that they did indeed intend to separate church and state. I mentioned that the writings of James Madison, Thomas Jefferson, and most of our Founding Fathers showed that they understood this. They knew that all church-state unions have always resulted in the corruption of both church and state as well as individual citizens, horrible persecutions (imprisonments, murder and torture) of those who did not bow down to the established “church” and its theology, and many other undesirable consequences. 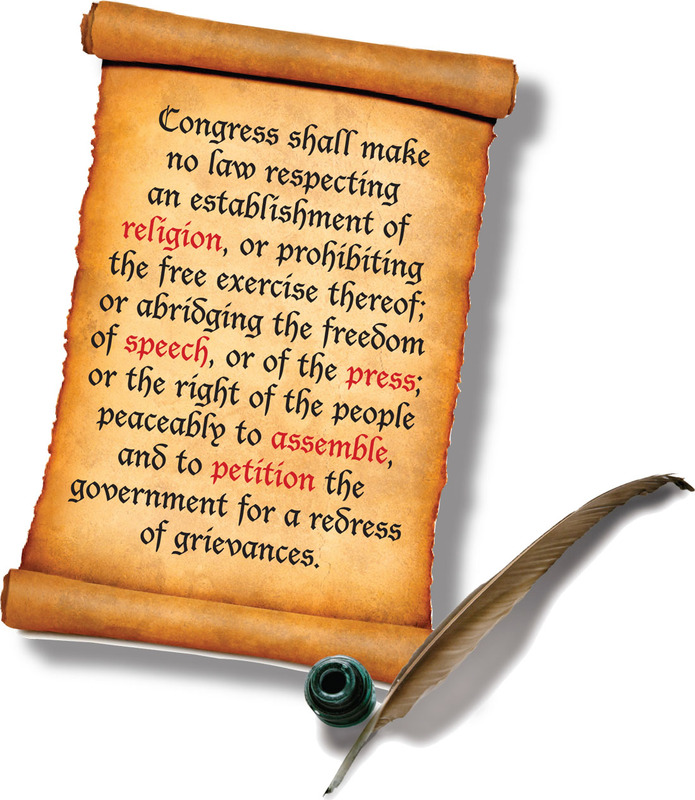 The history of the First Amendment proves this (See the “History of the First Amendment” which is available online in the PDF of God Betrayed Section IV and in Online form). Madison and Jefferson were eyewitnesses to the persecutions of dissenting Baptists in Virginia and they understood the history of the persecutions of all those who exercised their God-given freedom to choose a theology contrary to that of the church-state unions. They were aware that all church-state unions, beginning with the marriage of church and state in the early fourth century, continuing throughout the dark and middle ages, the reformation, and in the American colonies up until the time they lived resulted in horrible persecutions of those who would not bow down to the established beliefs. 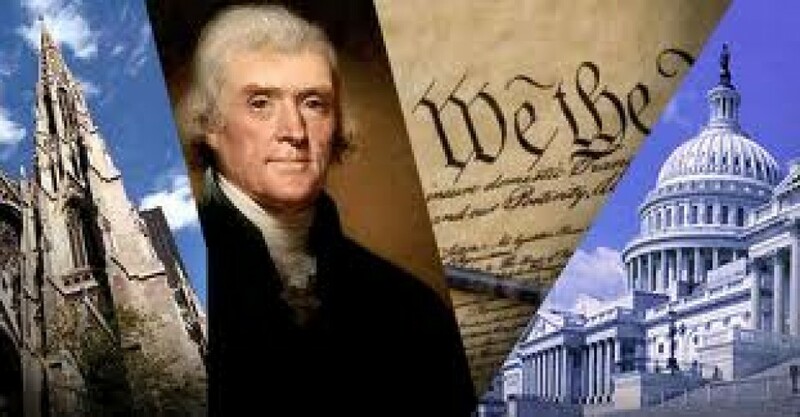 Jefferson’s writings make clear his position on separation of church and state. 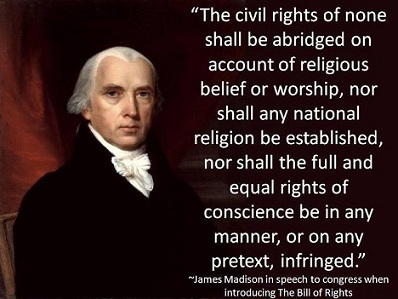 For example, in 1779 he wrote the Virginia Act for Religious Liberty which was passed in 1786. The act included three factors: church, state, and the individual. It protected the individual from loss at the hands of state incursion into his church affiliation, and implicitly banned church establishment. See En1 to read the entire act and another quote from Jefferson. Jefferson never swerved from his devotion to the complete independence of church and state (See also pp. 264-283 of God Betrayed to read more about Jefferson’s position. Click here to go directly to PDF of God Betrayed.). “… Because experience witnesses that ecclesiastical establishments, instead of maintaining the purity and efficacy of religion, have had a contrary operation. During almost fifteen centuries has the legal establishment of Christianity been on trial. What have been its fruits? More or less in all places, pride and indolence in the clergy; ignorance and servility in the laity; in both, superstition, bigotry, and persecution. Inquire of the teachers of Christianity for the ages in which it appeared in its greatest luster; those of every sect point to the ages prior to its incorporation with civil policy. Propose a restoration of this primitive state, in which its teachers depended on the voluntary rewards of their flocks, many of them predict its downfall…. See pages 278-279 of God Betrayed (Click here to go directly to online PDF of God Betrayed) for more extensive excerpts from “Memorial and Remonstrance.” Click here to go directly to the complete Memorial and Remonstrance online. Thus, when the First Amendment was introduced and promoted by James Madison, the only question was the exact wording of the Amendment. 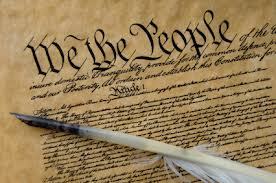 The representatives at the Constitutional Convention understood that the purpose of the religion clause was (1) to place a two way wall between church and state (This purpose is stated in the establishment clause: “Congress shall make no law respecting an establishment of religion.”) and (2) to provide for freedom of conscious, also known as free will or soul liberty (This purpose is stated in the free exercise clause: “or prohibiting the free exercise thereof.”). These two purposes go hand in hand. The historical established churches, beginning with the spiritual harlot called the Catholic “church” and then her offspring -Protestant “churches” – violently persecuted (hung, burnt at the stake, drowned, buried alive, imprisoned, tortured with unspeakable horror) those who exercised their God-given free will in contradiction to the doctrines of the church-state establishment and were labeled “heretics” by the established church. At the seminar, I explained my position in more detail and showed that the same theology that justified union of church and state was initially developed and expanded upon from earlier sources by Augustine, practiced by the Catholic church, and later by Protestant churches (in modified form). Proponents of those same theologies remain at work to achieve the impossible goals of their adherents (peace and unity throughout the earth) in America today. In fact, many adherents of those theologies are very active in, and are leaders in, the contemporary American political warfare. Many believe that they will set up the kingdom of heaven on earth, the millennium, either through the efforts of the church or through a church-state combination and without the intervention our Lord Jesus Christ. Others believe that there is no millennium, and that a worldwide church-state combination will bring peace and unity to the earth. Others, such as myself, are totally convinced that the Bible teaches that Christ Himself will return at Armageddon and set up and reign over the millennium by power. See En2 for various explanations of millennialism. Along with the question of whether First Amendment separates church and state, another question that needs to be addressed is whether the Constitution or any other governing document requires the federal government to be guided by God and His principles? The Founding Fathers while implementing the biblical principle of separation of church and state in the First Amendment did not understand that a nation should, within her organic governing documents, recognize that the God of the Bible, the only God, should be honored and hailed as the ruler of nations and that His principles should be recognized and applied within the laws of the nation and in the interpretation of those laws. 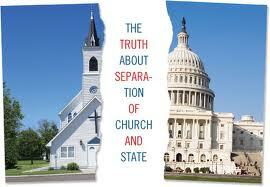 4) separate church and state. 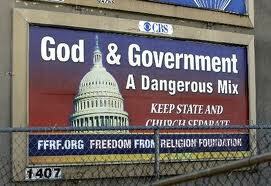 The First Amendment implements the biblical principle of separation of church and state. 5) provide for religious liberty (also called soul liberty or freedom of conscience). The First Amendment does this. 6) guarantee freedom of speech, press, assembly and the right to petition the government for a redress of grievances. The First Amendment does this. See En3 for information on an historical example of governing documents which proved that this can be done. The Constitution allows, but does not require, Americans to recognize the God of the Universe, the God of creation, almighty God, and to operate according to His principles and to pray in the name of Jesus even at government functions. This is obvious from a study of history including the multitude of statements made by Presidents, senators, representatives, government officials at all levels of government; and from a reading and study of state constitutions, laws, and federal and state legal cases. History also shows that almost everyone in America at the time of the adoption of the Constitution reverenced the Bible and the God of the Bible and that prayers were made to Him at official government functions. Of course, the United States Supreme Court has removed the recognition of God (and especially the Lord Jesus Christ) from practically all civil government affairs. See for an explanation of how the Supreme Court has done this: The Supreme Court Reinterprets the First Amendment and Removes God or Section V of God Betrayed. However, sad to say, neither the Constitution nor any other federal governing document names the name of Jesus and requires that the United States government be guided by God and His principles (being guided by God and His principles is something entirely different from establishing a church). If you disagree, show me one Constitutional provision or federal law which either requires recognition of God (and specifically the Lord Jesus Christ) and/or His principles as laid out in His Word. There is none. Unlearned Christians (me once being in their fold) argue that the implementation of certain biblical principles in the Constitution prove that the Constitution is a “Christian” document. However, they fail to point out the enlightenment principles which pollute the Constitution. I deal more in depth with these matters in God Betrayed. Unstudied Christians argue, as I once did, that the Declaration of Independence did recognize God and that Americans march behind the banner of the Declaration. 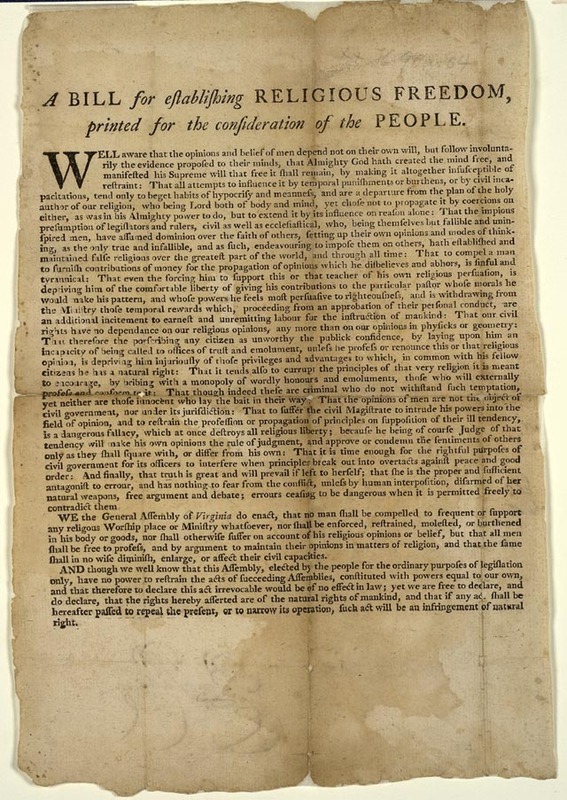 However, the Declaration was written over a decade before the adoption of the Constitution and the First Amendment, and the Declaration is not law despite the rhetoric which says, “We proceed under the banner of the Declaration of Independence.” This author contends that even the Declaration is flawed when biblically analyzed. Even if the contention that it is not flawed were correct, the Declaration is not controlling law and an examination of the Declaration and the Constitution leaves open the obvious contention that Americans had changed between the time of the writing of the Declaration and the adoption of the Constitution. “The LORD is high above all nations, and his glory above the heavens” Psm. 133:4. “Why do the heathen rage, and the people imagine a vain thing? The kings of the earth set themselves, and the rulers take counsel together, against the LORD, and against his anointed, saying, Let us break their bands asunder and case their cords from us. He that sitteth in the heavens shall laugh: the LORD shall have them in derision. Then shall he speak unto them in his wrath, and vex them in his sore displeasure.…. Thou [Jesus] shalt break them with a rod of iron; thou shalt dash them in pieces like a potter’s vessel. Be wise now therefore, O ye kings: be instructed, ye judges of the earth. Serve the LORD with fear, and rejoice with trembling. Kiss the Son, lest he be angry, and ye perish from the way, when his wrath is kindled but a little. Blessed are all they that put their trust in him.” Psm. 2:1-5, 9-12 (The 2nd Psalm gives the order of the establishment of the kingdom.). The Old Testament details God’s principles for nations, both Jew and Gentile, and lays out the complete history and fate of nations from beginning to end. God ordained civil government, and the fact that that God desires nations to submit to Him and His principles is undeniable. That no nation ever has or ever will do so before He returns and establishes His Kingdom on earth is clear from a literal interpretation of scripture. 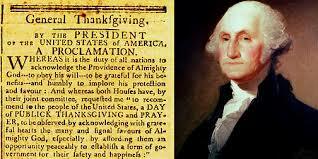 In spite of the flaws in the Constitution, America, to a great extent, originally honored God. Of course, the First Amendment was not a flaw; the religion clause was a statement of the biblical principle of separation of church and state. As time went by, the flaws in the document have made it easier for the natural progression of moral awfulness and political tyranny. I, like most politically active “Christians” but not according to knowledge, worked to “bring America back under God.” As a result of those efforts in the Republican Party (1982-beginning of the twenty-first century), I saw that America continued to grow worse in every way and at an accelerated pace in spite of our efforts. By 2002, I realized that America was a grossly immoral nation. America is now a tyrannical and morally awful nation much worse than it was in 2002. 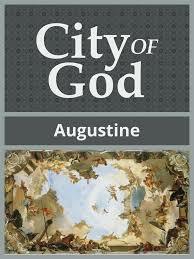 In 2005 God focused my efforts on His doctrine of the church, which is where they should have been in the first place. If Christians cannot get the doctrine of the church right in understanding and practice, how in the world do they think they can get civil government right? Even though many “believers” still seek to honor God in the political arena, they are not proceeding according to knowledge, wisdom, and understanding in either their government or their church efforts. God makes clear that when His people do not act according to knowledge (among other things), they will fall (See, e.g., 2 Pe. 1.2-10; Ho. 4). Virginia Bill for Religious Liberty drafted by Thomas Jefferson in 1779 and enacted in 1786.
and, finally, that truth is great and will prevail if left to herself, that she is proper and sufficient antagonist to error and has nothing to fear from the conflict, unless by human interposition disarmed of her natural weapons, free argument and debate, errors [cease] to be dangerous when it is permitted freely to contradict them. “II. Be it enacted by the General Assembly that no man shall be compelled to frequent or support any religious worship, place, or ministry whatsoever, nor shall be enforced, restrained, molested, or burdened in his body or goods, nor shall otherwise suffer on account of his religious opinions or belief; but that all men shall be free to profess, and by argument to maintain, their opinion in matters of religion, and that the same shall in no wise diminish, enlarge, or affect their civil capacities. En2. The word millennium means “1000 years” and comes from Re. 20. 4-6 where it says that certain people “came to life, and reigned with Christ a thousand years. There are three major views on the time and nature of the millennium. Amillennialism takes the position that this is a period during which Satan’s influence has been greatly reduced so that the gospel can be preached throughout the world. Christ does not bodily reign during this period, and there is no future millennium yet to come. Amillennialists believe that the term “thousand years” is a figure of speech for a long period of time in which God’s will will be accomplished. Christ will return at the end of this period, believers and unbelievers will be resurrected, unbelievers will be eternally condemned and believers reunited with their spirits, judged, and will enjoy heaven forever. According to postmillennialism, Christ will return after the millennium. The church and state, operating during the period in which we now live, will establish peace and righteousness and a millennial age will occur when this occurs. At the end of that thousand years, Christ will return to earth, believers and unbelievers will be raised, the final judgment will occur, a new heaven and a new earth will be established, and we will enter into the eternal state. Premillennialism teaches that Christ will return before the millennium, believers who have died will be raised from the dead, their bodies reunited with their spirits, will reign with Christ 1000 years. During this 1000 years, Satan will be bound. At the end of that period, he will be loosed and will lead the unbelievers of the millennium in rebellion against Christ. Satan and his followers will be defeated, Christ will raise the dead and they will be judged. Those whose names are not found written in the book of life will be cast, as was Satan, into the lake of fire. At the final judgment, believers will enter into the eternal state. There are two main premillennial positions. Classic premillennialism says Christ will return after the great tribulation, rapture believers, and that believes will reign with Christ on earth for 1000 years. Pretribulational premillennialism teaches that Christ will return part way to earth before the tribulation, call believers to Himself, , and return to heaven with those believers. This will be followed by a seven year period of great tribulation. At the end of that time, Christ will return, crush all the Gentile armies which have come against Israel, and set up His millennial reign. See, e.g., Wayne Gruden, Systematic Theology (Grand Rapids, Michigan: Zondervan, 2000), pp. 1109-1113. En3. The first government in history with complete religious freedom was the government of the colony or Rhode Island (See the online version, “The Baptists in Rhode Island” or go to Section IV, Chapter 6 of God Betrayed available in PDF form – for ordering information go to the following link: Order information for Books by Jerald Finney.). “We whose names are underwritten do swear solemnly, in the presence of Jehovah, to incorporate ourselves into a body politic, and as he shall help us, will submit our persons, lives and estates, unto our Lord Jesus Christ, the King of kings, and Lord of lords, and to all those most perfect and absolute laws of his, given us in his holy word of truth, to be guided and judged thereby.” 38 [19 signatures followed: Thomas Savage, William Dyre, William Freeborne, Philip Sherman, John Walker, Richard Carder, William Baulstone, Edward Hutchinson, Sen., Henry Bull, Randal Holden, William Coddington, John Clarke, William Hutchinson, John Coggshall, William Aspinwall, Samuel Wilbore, John Porter, Edward Hutchinson, Jun., and John Sanford.]. 2.3; and II Kings 11.17. As James R. Beller proclaims, the document was “the first of a series of American political documents promulgating government by the consent of the governed and liberty of conscience” (James R. Beller, America in Crimson Red: The Baptist History of America (Arnold, Missouri: Prairie Fire Press, 2004), p. 13). Thus, liberty of conscience was the basis for legislation in Rhode Island, and its annals have remained to this day [when Underhill wrote this] unsullied by the blot of persecution. (Roger Williams and Edward Bean Underhill, The Bloudy Tenent of Persecution for Cause of Conscience Discussed and Mr. Cotton’s Letter Examined and Answered. (London: Printed for the Society, by J. Haddon, Castle Street, Finsbury, 1848 (Reprint)), p. xxviii). 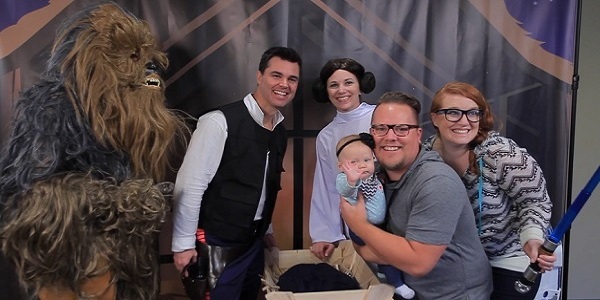 Families attending Cosmic Christmas will be able to have their picture taken with Star Wars characters. December 2015 addition to this article: Believe it or not, the force is also in some “churches.” See Christian Issues, Heresy, and Apostasy. “A Long Time Ago, in a Courtroom Far, Far Away,” by John G. Browning (77 Texas Bar Journal, February 2014, 158-161). “To Boldly Go Where Few Judges Have Gone before: How the Bench Is Using a Pop-Culture Sci-Fi Classic to Explain Its Decisions,” by John G. Browning (76 Texas Bar Journal, September 2013, 765-767). Most of the lawyers, judges, and other personnel within the system are nice, good, decent, hardworking people when viewed from a secular perspective. However, the system is now, like the rest of society, proceeding according to the principles of the god of this world. The above two law review articles make clear that this is true, and the state of the legal system corresponds to condition of individuals, families, churches, civil governments including the state and federal governments of the United States, and the world. The Bible tells us what has happened, is happening, and will happen. Of course one expects the world to go the way of the devil; but tragically, very few members of fundamental Baptist churches (including pastors), much less members of other so-called “churches,” are equipped for the spiritual warfare God has called believers to fight. Few can explain biblical teaching concerning the God-given motivation and goal of a believer; the doctrines, practices, and order of a New Testament church; the doctrine of government; the doctrine of separation of church and state; what the Bible teaches about repentance and salvation (not what they learned from a workbook on “soul-winning”); spiritual warfare; history; the relationship between church and state; the distinctions between God’s dealings with Israel and God’s dealings with Gentile nations, etc. Few have as much as a rudimentary understanding of the origin, goals, and dangers of Hollywood, movies, Disney, country music, rock and roll music, contemporary “Christian” music, the sports industry, etc. As a result, most churches and church members have succumbed to the doctrines and practices of the world. The desertion from church by young people after they become so-called adults is a prime example of the results of this unlearned, unwise church membership. As children, parents never understood biblical doctrines (never knew that biblical doctrines even existed). Thus, they never understood the evils of, for example, rock and roll music; country music; contemporary “Christian” music;” drinking; watching movies; television; getting caught up in following sports; making heroes of sports stars; dancing, and much more. They were never taught by their parents, the ones to whom God gave the responsibility. “Christian” parents, being spiritually ignorant and maybe even lost, depend upon unbiblical “youth programs,” “Christian” schools, and Sunday schools to ground their children in the faith. And of course church youth programs and Sunday schools do not do that delegated job. Instead, these church “ministries” have done much more harm than good, especially when viewed in light of the metamorphosis of those programs to their present condition and effect. The great majority of youth who are brought up in “church” leave the church for the world when they grow up. They become doctors, lawyers, janitors, plumbers, carpenters, authors, etc. who believe and practice the principles of the god of this world. They are marching in step with unlearned, unwise members of the “churches” that remain to implement Satan’s agenda which includes a one world government working with a one world church, a new world order. “God is our refuge and strength, a very present help in trouble. Therefore will not we fear, though the earth be removed, and though the mountains be carried into the midst of the sea; Though the waters thereof roar and be troubled, though the mountains shake with the swelling thereof. Selah. There is a river, the streams whereof shall make glad the city of God, the holy place of the tabernacles of the most High. God is in the midst of her; she shall not be moved: God shall help her, and that right early. The heathen raged, the kingdoms were moved: he uttered his voice, the earth melted. The LORD of hosts is with us; the God of Jacob is our refuge. Selah. Come, behold the works of the LORD, what desolations he hath made in the earth. He maketh wars to cease unto the end of the earth; he breaketh the bow, and cutteth the spear in sunder; he burneth the chariot in the fire. 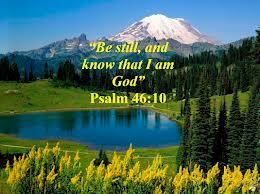 Be still, and know that I am God: I will be exalted among the heathen, I will be exalted in the earth. The LORD of hosts is with us; the God of Jacob is our refuge. Selah.” (Psalms 46:1-11).